How Does Year Built Affect A Home's Value? 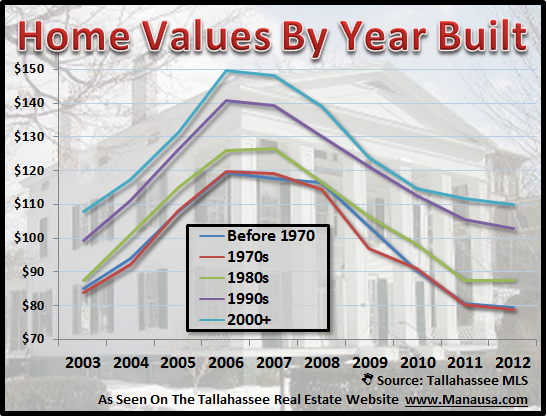 When we are helping a homeowner determine value when looking to sell a home in Tallahassee, we have to consider year built (the age of the home) as one of the many factors. When studying past sales, we can analyze age of home in order to determine if there exists a correlation between year built and value. Additionally, we can see if differently aged homes are depreciating at separate paces. Is A Home's Price Determined By Year Built? When we compare recent home sales prices by the year built of each home, we find that homes that were built more recently are selling at higher prices than those that were built in the past. Could this be due to the fact that we are building larger homes now, or is it a sign that newer homes contain more of the amenities that today's buyers are seeking. Remember, older homes could be extensively renovated. We can eliminate the question of size when comparing homes from different year built eras. The real estate graph below compares home values by year built, and we see definitive proof that new homes have greater value than do the older ones. 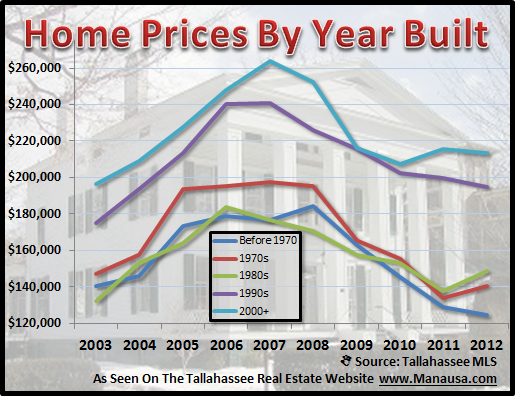 This graph simply measures the price per square foot of all home sales in the Tallahassee MLS, sorted by year built. It appears as if the lowest valued homes are those with a year built date prior to 1980. It is interesting that the final two categories do not differ greatly, yet the newer ones do separate quite a bit. Much of the value differences can be found in the value of the dirt, with some of the newer developments offering amenities that just did not exist in Tallahassee prior to the 1980s. 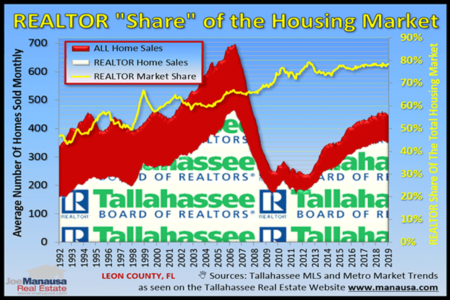 You can use the graph above to get an idea how your home will compare with the rest of the market. Of course, adjustments are needed for the improvements and upgrades you and previous owners have made to the property. Ultimately, I would use the information found in this article to understand that generally speaking, newer homes are favored by buyers over older homes, and keeping a home modern is not as valued as the real age of the home. 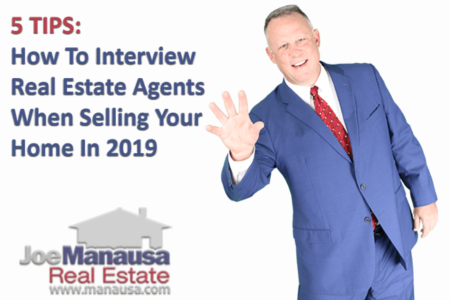 If you want to know more about how the year built of your home is affecting its value, just drop me a note and we can schedule a time to review your home's value and what you can do to bring in top dollar when you decide to sell your home.